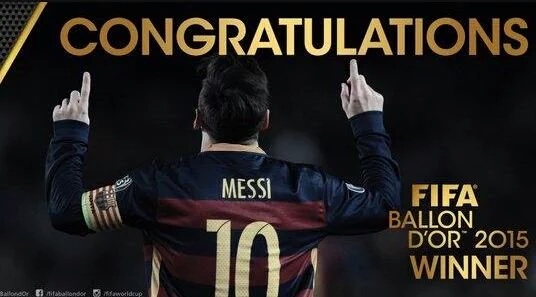 Barcelona superstar, Lionel Messi, has been named FIFA World Player of the Year 2015. The Argentine beat team-mate Neymar and rival Cristiano Ronaldo, to the prize and has now won it five times. Messi was the clear favourite to win the prize, having led Barcelona to a famous treble last season. It is also his fourth time of taking home the accolade. Ronaldo won the last Ballon d’Or holder, but failed to draw level with Messi for overall wins on Monday night.